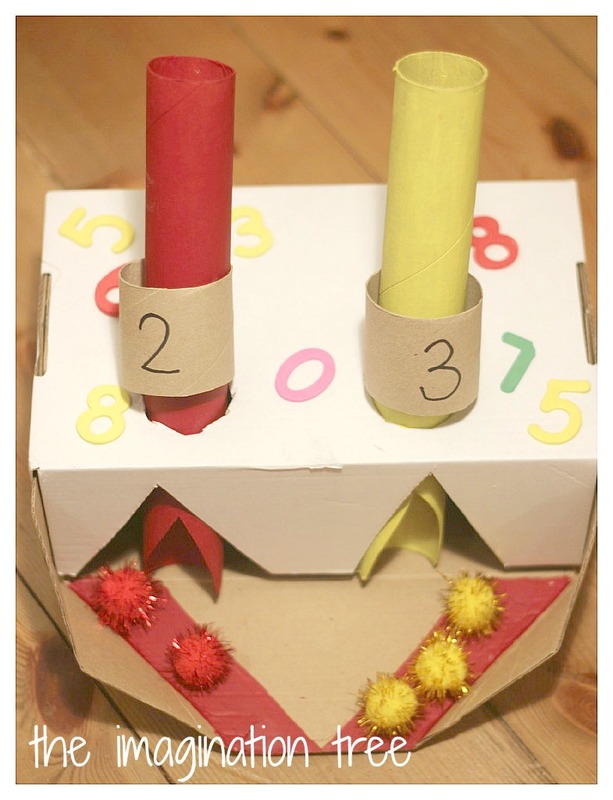 Create a machine from recycled materials to make a fun addition and counting activity for kids! 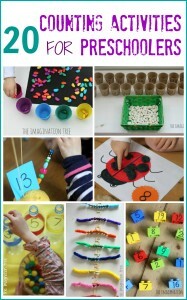 A really hands-on and exciting, visual way to learn about combining and adding small groups of numbers. Welcome to another post from our Playful Maths series, co-hosted with Learn with Play at Home! 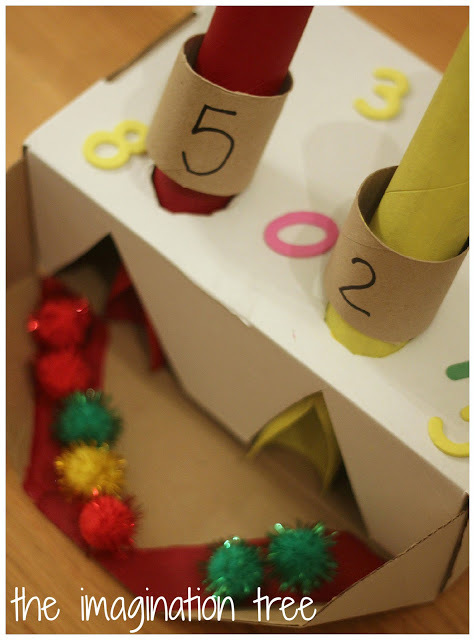 For these two weeks we are sharing ways to do hands on maths activities using cardboard tubes! 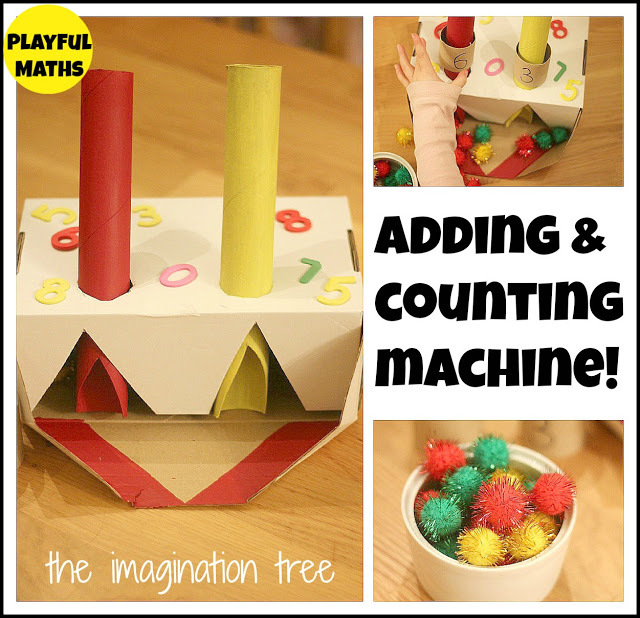 For this challenge we put together a really fun recycled machine for counting pom poms and adding small amounts in a really visual, hands on way. First I cut a wrapping paper tube into two and painted each piece in different colours. Next I cut a triangle shape out of the bottom to make an opening in each, then made holes into a small box and pushed them through to make pipes into our machine. I folded the front flap so that the edges came up at the side, to direct the pom poms as they fell through and came out of the holes. We then made some numbers to slot over the tubes by writing on cut pieces of larger cardboard tubes (these were from kitchen towels and wider than the wrapping paper tubes.) The last thing to add was a large bowl of sparkly pom poms (if in doubt, go with sparkles eh?!) and we were ready to get counting and adding! They were so excited to get started with this and loved whoosing the pom poms down the tubes and catching them at the other end. 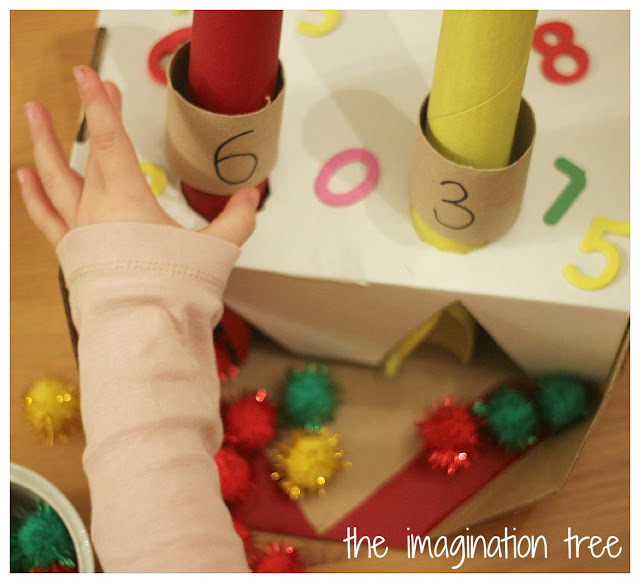 Maths objectives aside, this was a fabulously fun activity all by itself and great for motor skills, hand:eye co-ordination and cause and effect! When both sets of pom poms had come down the tubes and landed at the front I asked them to carefully count up how many there now were altogether, but touching or moving each one as they did so. 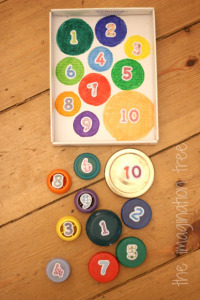 This act is called counting with 1:1 correspondence and is a vital stage of maths development in young children. We repeated this with lots of combinations of numbers up to 10. The next step would be to write teen numbers and see if they could rise to the challenge of such large amounts of counting using 1:1 correspondence. 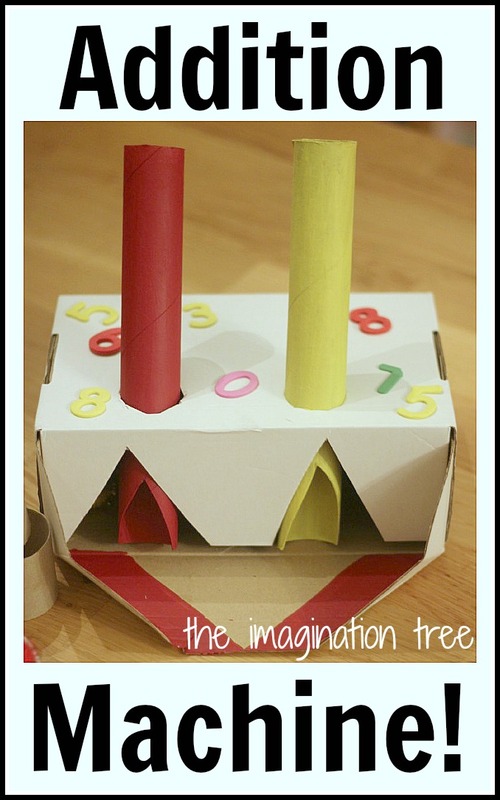 Can you think of a fun way to make a subtraction machine? That could also come as a next step! Pop on over to Learn with Play at Home to see her counting and ordering with paper tubes activity too! See our shape binoculars with paper tubes here. 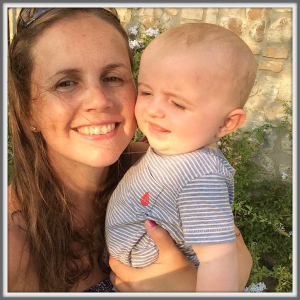 Join us both every Friday for our continuing series about Playful Maths ideas. Click the photo to see previous activities in the series. Have a material you would like us to use? Suggest it below! Now that is just plain FUN!! My girls are obsessed with their marble maze. 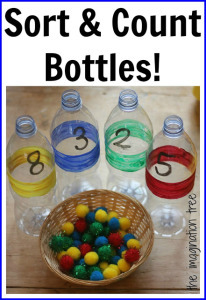 This would be such a great way to build on that enthusiasm and incorporate a bit of math. Oh, that is so clever! I just love it!! I too am so happy to be partnered with you on this! Rocking it! Really like this idea. I need a to find a way to store recycled stuff. I’ve always done it, but at the moment we are living in a tiny shed (4 of us, with number 5 on the way) and there is just no room. I’m really missing having cardboard tubes, boxes and all those other useful things at my disposal. 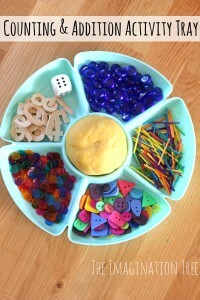 I think, however, that I could find everything I need to at least make a modified version of this awesome activity. My three year old will love the counting and my 17 month old will love the cause and effect. And yes, definitely using sparkly pom poms! That is fantastic Anna, I absolutely love it. love this. thinking about modifying it to use the pom poms to represent places (1s, 10s, 100s, etc) for my older two. the wee one will love this as is. 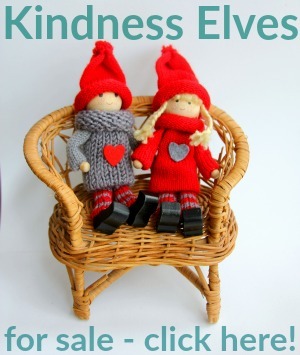 This is such an amazing craft and idea! Had to post on Craft Gossip! Happy counting!! Amazing!!! I love this thanks for sharing this with us. 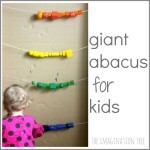 This is such a great idea – so simple and fun – and for the kids “like magic”! 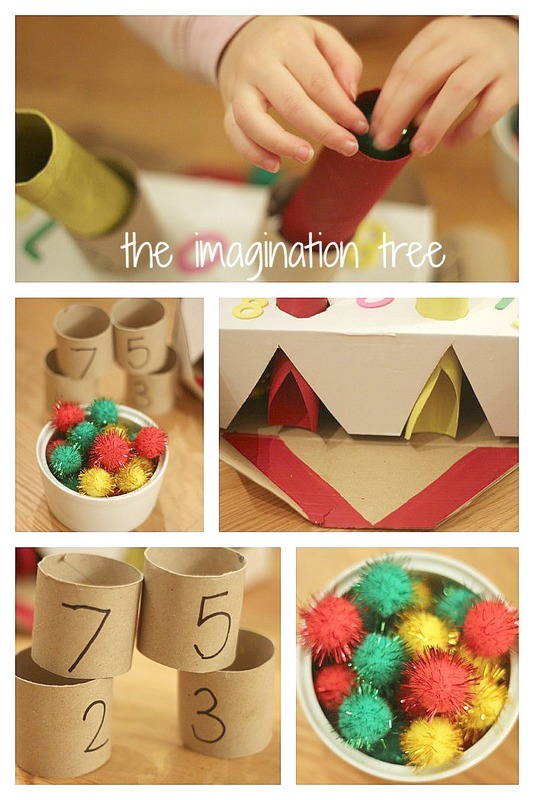 Fantastic!, so creative, I run a small play group of mixed ages, older ones age 2yrs, another lovely way to have fun with numbers. Spieling the last of us key generator at Nitrome. Educational Value In That Respect are a Dog Police and you’re only prostrate to one-up the harmful outlanders. On top of their prize to prime a Lalaloopsy character.the last of us key generator began out in keeps with a secret gem, pit fair game and hut to render any personal info.